I want you to do something for me right now: picture the scariest thing you’re capable of imagining. Is it a monster? Looking off the ledge of a 20-story building? Or maybe… the dentist? It won’t hurt my feelings — I don’t particularly like sharp objects near my mouth, either. But if your dental anxiety is getting in the way of your oral health, that’s a bad cycle. And it’s one that needs to stop, today. 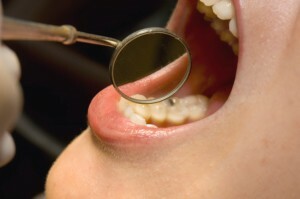 Keep reading to learn more about how to control your fear of dental work from your sedation dentist in West Monroe, LA. Too many people avoid their dental visits out of fear. Whether it’s the anxiety of feeling a little bit of pain, or the discomfort of losing control, it’s a real problem when it interferes with your good oral health. Dr. Scott can help you manage your fear with the following options in West Monroe sedation dentistry. Nitrous Oxide: Also known as laughing gas, nitrous oxide has helped patients relax in the dental chair for ages. It’s perfect for people suffering from mild dental anxiety as well as those undergoing small procedures, like a quick filling or in-depth cleaning. The best thing about nitrous oxide is that its effects wear off as soon as the procedure is done and the mask is removed, meaning you can go on about your day as normal. Oral Conscious Sedation: One of the most popular forms of sedation dentistry, oral conscious sedation works with an oral medication prescribed by Dr. Scott. You take it about an hour before your procedure, and its effects have already taken over once you’re settling into the dental chair. You’re still awake under oral conscious sedation, but you’re totally relaxed and removed from what’s going on around you — we promise. In fact, most patients report not remembering any details from their procedure once the medication’s effects have worn off. If you’re undergoing nitrous oxide, you don’t have to worry about making special post-procedure plans. Patients benefitting from oral conscious sedation, on the other hand, will need to ask a loved one to drive them home after the procedure, and monitor them for the next 24 hours. If you’re one of the thousands of adults who could stand to be a little more relaxed in the dental chair, don’t hesitate to find out how you can benefit from sedation dentistry. Dr. Scott and his team are well-equipped to help you glide through your next procedure — just let us show you how sedation works wonders for dental anxiety. Contact our office today!